A quietly powerful presence in American fiction in during the past two decades, these collected stories show the true scale of Hempel's achievement. Her compact fictions, populated by smart neurotic somewhat damaged narrators, speak grandly to the longings and insecurities in all of us, and in a voice that is bracingly direct and sneakily profound. These are stories about people who make choices that seem inevitable, whose longings and misgivings evoke eternal human experience. 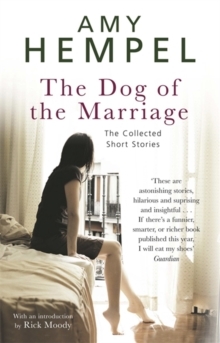 With her trademark compassion and wit, Hempel takes readers into the marriages, minor disasters and moments of revelation in an uneasy America.